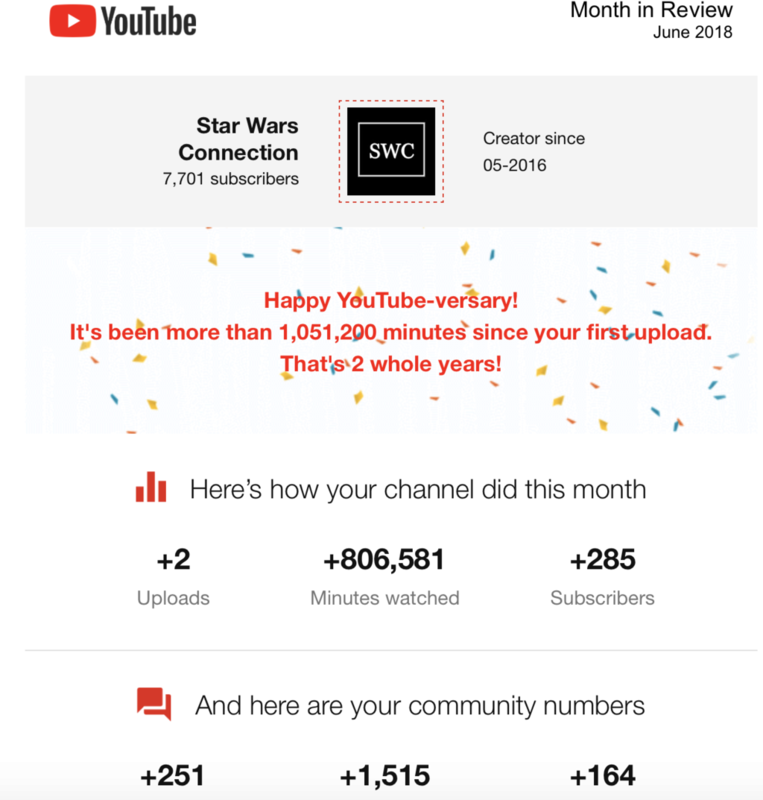 We want to thank you so much for your support during these two years of Star Wars and Reylo discussion. It's been truly wonderful working on this project and we are very proud of what we have accomplished together. Congratulations to everyone involved in this project and thank you very much for all the hard work you've put in. Your talent, creativity and love of Reylo has been truly appreciated and it has meant a lot to the community. We also want to thank the community at Reylo Skyforum and the larger Reylo community for all the support and encouragement, which has been a large part of the reason for us to continue on with this work. Now it's time for us to move on to new adventures. Star Wars Connection has come to an end, but we're happy to announce that our team members will continue working in their new Star Wars podcasts, which are listed below. Star Wars Connection will remain as a Force relic for the community to revisit and discover new favorites. Thank you and may the Force be with you always! In this final episode of Star Wars Connection, Tina, Felix, Denise and Lee talk about their favorite episodes and their experiences working on Star Wars Connection over the past 2 years. 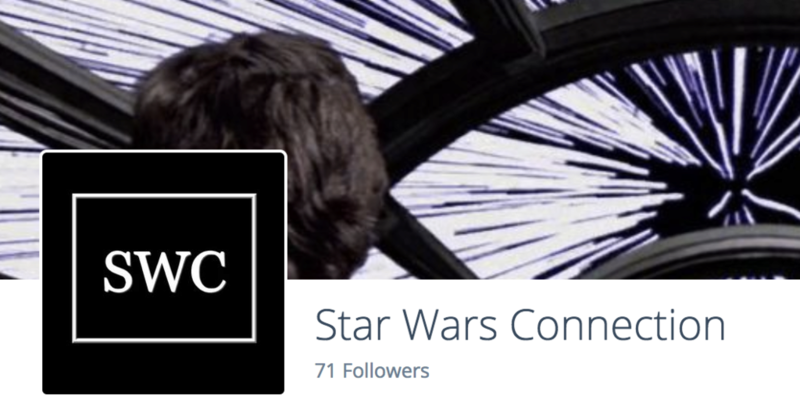 If you're interested in the discussions mentioned during this episode, please check out our playlist Star Wars Connections' Favorite Episodes, where you can find a list of all of the episodes referenced. Welcome to Star Wars Connection! This podcast series is produced here at Reylo Skyforum. Our episodes center around spoilers and Star Wars news, as well as discussions of character arcs and dynamics, themes, symbolism and cinematographic techniques found in Star Wars, with special emphasis on the Sequel Trilogy. This thread is the place to hear about our latest releases, which happen approximately every 2 weeks. This is also the place to discuss our episodes, suggest new topics and connect with other viewers and listeners. We hope you enjoy our episodes! #4 Confirmed: Rey is not a Skywalker - Who are Rey's Parents? You can discuss them in spoilers too if they contain spoilers, which these podcasts do. Big time. It seems the pieces were put into place a while ago, which makes sense. In addition to the main Lake Abisdealy, there are a number of ponds and a waterfall dotted around the estate, that create a feeling that can only be compared to that in the Garden of Eden. We talked about angry!god Luke, and now we hear mention of a "garden of eden" in connection to a possible SW shooting location. Things that make you go hmmm. Apparently it's an actual wedding destination. The question is, was Adam Driver there? Though it seems we only know that Daisy Ridley was there because of the Instagram pic she posted; we know AD doesn't do social media, so the fact that he's not mentioned doesn't mean that he was there. We shall have to wait and see. yes he did. Not sure where they were. Daisy's instagram does state that there were more people with her and her trainer. Now, as for following Mark, Daisy and SW as of February 25. could mean something (that the cast and crew booked their stay or that they booked their stay AND would use the estate for shooting) or nothing (Rian started to follow Gina Rodriguez around the time when KMT was cast in the role that Gina auditioned for). But I think that booking took place. Question is for what? Just hotel accommodation or filming too? if Liss Ard Estate was indeed used as the secret location I couldn't imagine that AD wasn't there. The secrecy is mostly around Kylo cause people have some idea that Luke will train Rey. But parts with Kylo are a mystery. Plus, they arrived together so they likely stayed at the same place/hotel. When was Daisy's instagram compared to Nathan Hamill's tweet? @vaderito wrote: if Liss Ard Estate was indeed used as the secret location I couldn't imagine that AD wasn't there. The secrecy is mostly around Kylo cause people have some idea that Luke will train Rey. But parts with Kylo are a mystery. May 18. When did he return from Cannes? I believe a day before, but I'm not sure. Well, don't forget about Cannes. AD was in Cannes when the others came to Cork but I think he was already there when Daisy posted that photo of the lake. It's impossible to say how long they actually stayed at Liss Ard and when exactly the cast started filming in Kerry. Yes, I think he left Cannes some time on 17 May. Cast arrived in Belfast on May 13. Nathan tweeted about beer on May 15. Daisy posted lake instagram on May 18 (may not have been taken on that day). AD was in Cannes on 16th cause Patterson red carpet. he was giving interviews on 17th. Gone by 18th (either later on 17th or early on 18th). @Darth Dingbat "More of us" is super cheeky, especially when it comes to morning jog, swim and exercise stuff. That other actor(s) would be doing too. Oh, and remember who frequented the gym in Dingle? That's a good point, @vaderito. We expect that Rey and Luke will be together, so it's not surprising that Mark and Daisy are confirmed at a location. Adam's presence is relatively surprising and indicates more interesting developments re: Kylo and Luke and Rey, so I think they might double their efforts at keeping him hidden. Yes, this was also the first thing that came to my mind. Why emphasizing that there are "more of us". .
Liss Ard Estate knew that cast + crew was coming at least as of Feb 2016 (when they started to follow DR, MH and SW on twitter). I guess booking was made than. They managed to keep it a secret. However, such a huge estate just for a hotel? C'mon. I don't buy it. there must have been at least rehearsals if not actual filming. still, cast and people associated with the cast weren't very discreet about it, hence posting tweets and Instagrams. So what gives? Wouldn't a secret location be kept secret 100%? No teasing, etc. I mean, we couldn't possibly be the only ones who thought something was up over there. And yet nothing in Irish news, no attempts to trespass, etc. Weird. I do think that star gazing plateau here and star gazing instructions described in the KMT podcast are not a coincidence. She is a padawan troll, like her master jedi troll. @Darth Rowan wrote: It really does sound like a little teasing from Daisy with the "there were more of us" lol. @Little_Boots wrote: Who was speaking in the latest podcast? I must say I'm more pumped for Liss Ard Estate and Kornati locations than for official locations. They are really something else. @vaderito wrote: I must say I'm more pumped for Liss Ard Estate and Kornati locations than for official locations. They are really something else. Yep, just to have an areal shot of those islands is really out of this world. This planet is so beautiful, we should take care of it and appreciate it more. Kornati are beautiful, unfortunately I have never had a chance to visit. It is quite complicated because it is very restricted area - due to the national heritage. Very risky of the fires. People usually visit them by boats and stay on the boats while there in many of the beautiful bays. The islands are very protected by national program of preserving the nature. I think it would be very complicated to get a permission to film there.